I'm super passionate about live events and the energy of being with people in person. I love the magic that happens face-to-face and in community. I offer a wide range of knowledge and experience drawn from working in three different countries with thousands of people. I predominately work with small business owners, helping them to attract more clients and create more success in their business. I also love sharing about the most important aspects of human behaviour, performance, personal development, and mindset success principles. These value-packed workshops cover my top, proven strategies to increase your influence and attract more clients. These workshops are for you if you want to make a bigger impact, a greater income, gain more confidence and increase your authority in the marketplace. Unleash Your Freedom is a transformative one-day event in Sydney. It is a day-retreat for driven, motivated and busy women, to recharge, refocus and reimagine. It's a beautiful, soul-nourishing personal development day out, with like-minded women, designed to help you shift the beliefs that are holding you back from living your purpose. 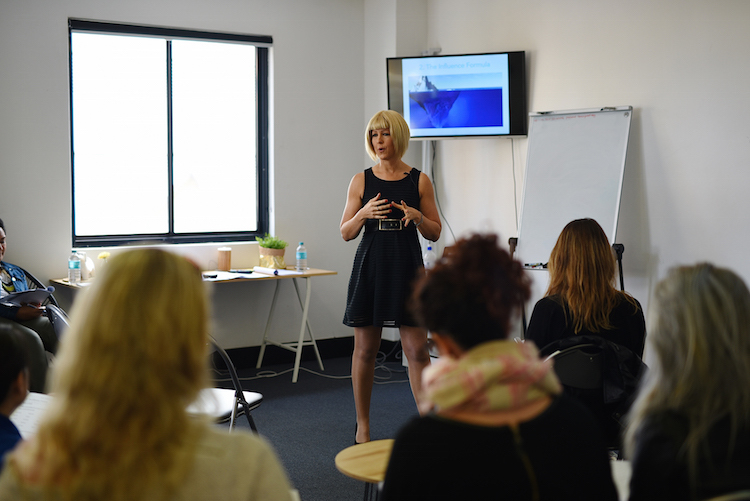 I am a keynote speaker specialising in facilitating groups through highly engaging, relevant and practical training sessions. Experience how Kat can help you or your team go to the next level. Email us to find out about Kat's next upcoming seminars or to discuss your speaking requirements.